Four more added to the team! 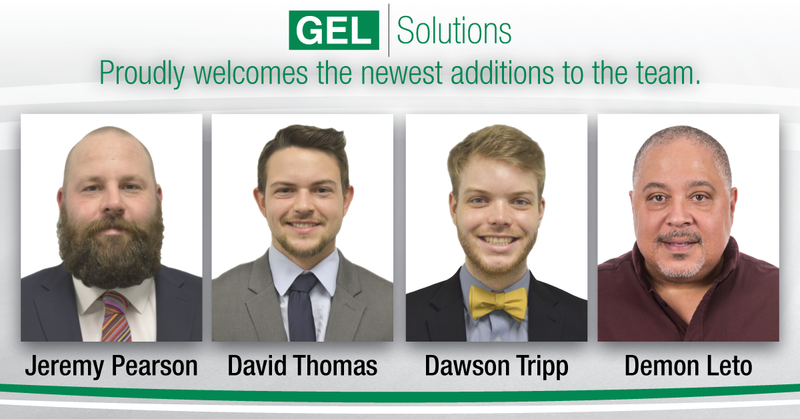 GEL Solutions has added four more to the team! Survey Crew Chief/Technician III, Jeremy Pearson and Survey Technician II, David Thomas will be accompanying our crew in Charlotte, NC. Geophysical Technician and former intern, Dawson Tripp is now joining us full time in our Raleigh, NC location. SUE Technician III, Demon Leto will be working out of our Marietta, GA office. We look forward to working with you!